In the Ocala/Marion real estate market, conditions continue to be even as fewer houses become available compared to his time last year. June 2015 found an decrease in the number of new listings, active listings and pending sales were up for single-family homes, according to information from Ocala Marion County Association or Realtors®. The 877 new listings in June 2015 represented a -2.6 percent decrease over previous year. Active listings decreased 8 percent to 3,083 over the same period. Pending sales had a high jump in June, with the 656 pending listings in for the month, indicating a 7 percent increase over June 2014. Actual sales of single-family homes also increased over the same period. The Ocala Marion County Association or Realtors® reports that in June, a total of 606 single homes were sold in the Ocala/Marion County area. This represents a 12.8% percent increase over sales in previous year. Prices in the Ocala/Marion County real estate market continue to climb during that year-long period. The median price of a single-family home in the Ocala/Marion County area increased 6.4 percent between June/2014 and June/2015, to $116,000. increased in all price categories except for “less than $50k and over $1,ooo,ooo. Homes spend an average of 73 days on the market in Ocala/Marion County, which is decrease from June/2014 of 38.1 percent year-over-year. Generally higher prices, limited availability, and quicker sales of those homes that come up for sale make the Marion County real estate market a favorable environment for sellers, and because of the great value in our area buyers can find quality homes far cheaper than average rent prices for the area. 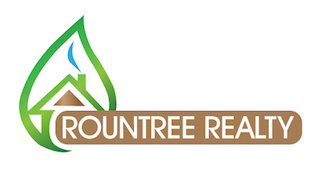 Rountree Realty provides expert real estate services to residential buyers and sellers in Marion County including Ocala, Fort McCoy, Anthony, Sparr, Citra, Salt Springs, Orange Springs and and surrounding communities. Contact us today for more information on local real estate and for professional assistance navigating this sometimes complex home market.